This week, Fuze joined over 7,000 enterprise professionals at Call and Contact Centre Expo in London, alongside partners NICE+InContact and Five9. The event provided an opportunity to both share our expertise and to learn from some of the UK’s biggest brands about the future of customer service, employee experience, and workforce transformation. Speaking at the expo, Nicola Millard, head of customer insights at BT, reminded us all that, despite the hype, experience isn’t everything. More than ever before, customers are demanding simple, intuitive and—most importantly—easy experiences when they buy products and interact with brands. According to BT research, customers that experience difficulty during their interactions with brands are 40 percent more likely to churn, which is a huge loss to seemingly customer-centric brands. In today’s experience economy, many businesses end up obsessing over their ability to create memorable experiences. Yet for the vast majority of customers, the experience doesn’t need to be memorable…it just needs to work. If you create an easy, unified experience first then everything else can fall into place. Over the last few years, Fuze has conducted a wealth of research into the worker experience. Despite the rise in demand for flexible working and the common notion that the traditional office is dead, our research shows that many workers still benefit from working in an office environment. Speaking in her keynote session, Fuze’s Product Manager Tess Varney highlighted that as many as 53 percent of workers still go to a company office every day, while 48 percent work from a shared working environment. Instead of abandoning the office environment entirely, enterprises are increasingly waking up to the fact that, in order to maximize productivity, they need to provide staff with the flexibility to work as, when, and where they see fit. For many workers the company office environment is key, while for others it means working at home, in a café, or anywhere they can be productive. What’s important is that they have the freedom to choose. Removing the office option entirely is simply limiting that choice. There’s been a lot of talk about omnichannel customer experience, with brands preparing for a new generation of consumers that seamlessly skip from web, to app, to chat, to email, to social media. In reality though, this customer has never really existed. Customers aren’t desperate to interact with your brand on every single channel, they simply want to get to where they’re going, using the device that happens to be in front of them at the time. Omnichannel is the future, but not because customers are desperate to skip around. The secret to good customer interactions is simply being there when they need you, regardless of platform, channel or device. 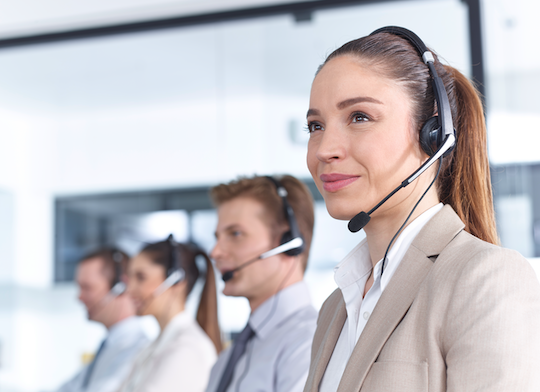 To find out more about Fuze’s work in the contact center space, check out our Contact Center 101 Guide. 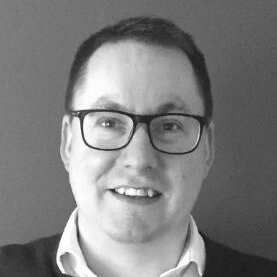 Chris Bloomfield is Head of Sales Engineering for Northern Europe at Fuze. Chris and his team works with our customers to provide thought leadership on UCaaS and CCaaS solutions and how they are critical to our customer's digital transformation strategies.